Set of 3 small sachets filled with dried French lavender (with no added chemicals). 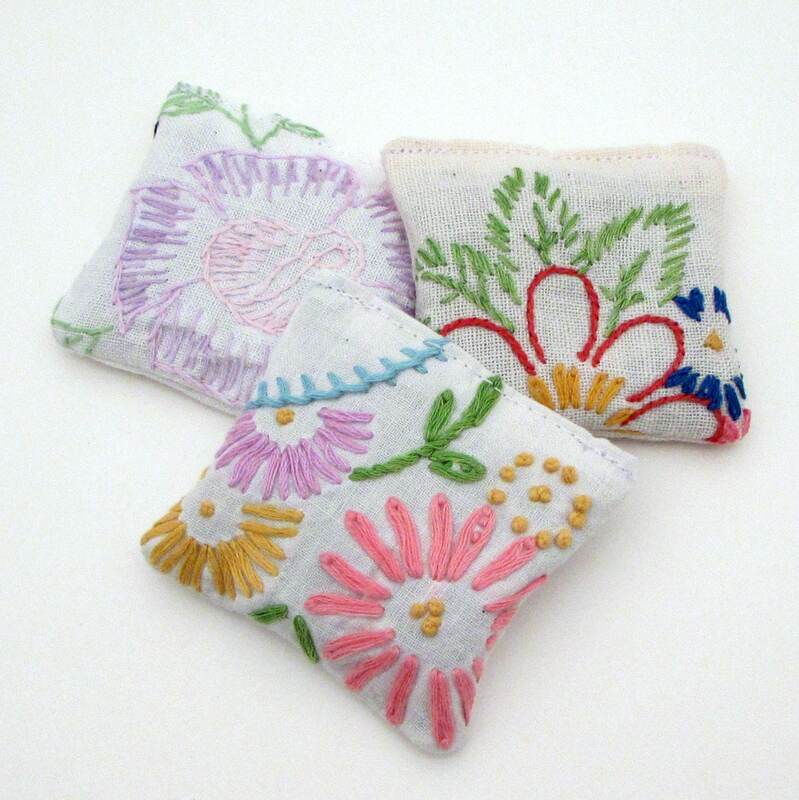 Each sachet is made of vintage embroidered linens. They measure 2 1/4" square. These are great for keeping your dresser drawers smelling lovely. You can also throw these in your dryer to freshen your laundry. You will receive 3 sachets very much like the ones pictured here, made from an assortment of vintage linens. Motifs you will probably receive include flowers and birds, possibly a butterfly or heart. These are individually packaged in cello bags, perfect for gift-giving, party favors, or stocking stuffers! These are really neat. I ordered six sachets. All are different and smell wonderful. Fast shipping. Unique mailing envelope.